It is best practice to avoid maintaining data in more than one place. Another is to limit the use of multiple systems that are related but not connected. A great example is the use of multiple farm management spreadsheets to support budgeting, or scheduling, but they don’t necessarily share the same plan inputs. This can lead to disparity in your data. As your operation grows, data entry requirements and complexity can increase dramatically. Data entry issues can become the limiting factor to your revenue growth and ultimately the success of the farm. 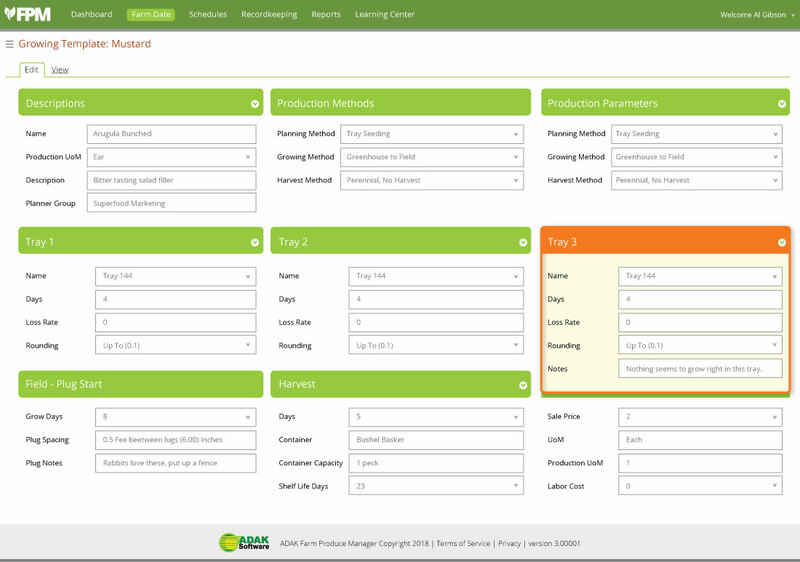 Farm Production Manager is designed to store and manage all your process related data in one place, so you only update entries in one place. Recordkeeping leverages this data so actual results are stored with the original planned schedule. And you can get to that data from anywhere at any time. The Growing Template is the data entry point for documenting your production processes and rates for each product you grow. 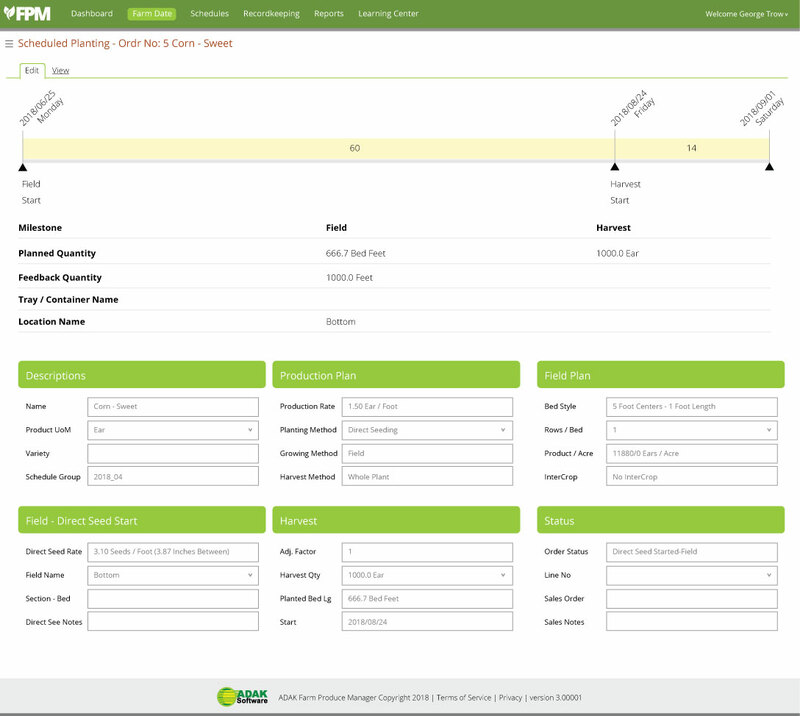 The schedule record is created by selecting a Growing Template, then entering a date and quantity. All the rest is done automatically; calculations for trays, field space and all dependent resources defined in your Resource profiles, and Milestone schedule dates. Resource Planning is facilitated by resource profiles which are assigned to the Growing Template and are User maintained. The resource loading outputs are generated by extending Milestone Schedule quantities through the Resource Profiles. Recordkeeping starts with the planned schedule and the actual Recordkeeping transactions are stored separately from the schedule record. They record how your process responded to each schedule started.